If you have less than stellar credit, you may want to jump into action to fix your credit score as quickly as possible. However, action may be the opposite of what you need for a credit score boost. In fact, one of the best things you can do to improve your credit score is nothing. 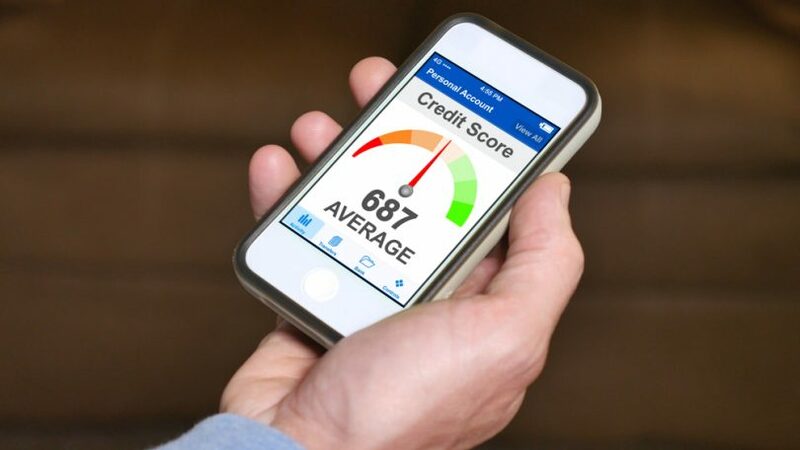 Credit reports and credit scores are a long game, and there are few quick actions to turn a bad score into a good one, or a good one into a great one. But that doesn’t mean you can’t fix or improve your credit. Follow along to learn why leaving your credit alone helps your credit score. If you have a bad credit score and want to buy a new home or car with a loan, you may be in for a tough path forward. If you can get approved at all, you will face higher interest rates than the best credit borrowers. You might want to put in some work and hustle to fix your credit score in a short period of time. I’m sorry to be the bearer of bad news. In most cases, you can’t fix a bad credit score quickly. The biggest reason for the slow recovery process is how long it takes for negative information to drop off of a credit report. Late and missed payments stay on your credit for seven years. Some negative data, like a bankruptcy or judgement, can stay on your credit for up to ten years. With a full decade to get rid of the worst credit mistakes, there is little to do to get rid of those bad marks. The one exception is if you find negative information that ended up on your credit report in error, which is very common in the United States. If you do find negative derogatory information on your credit report that is not accurate, you can file a dispute with the credit agency to get the problem information removed. In a few rare cases, you may be able to get a negative item removed if it has been paid and resolved, but that is rare. In most cases, you’ll just have to wait it out. You might think that you can offset one negative credit account with a positive account. This is true to some extent in the long-run, but in the short-run new credit harms your credit score. Just the act of applying for a credit card or loan likely means the bank will pull a copy of your credit report, which alone can lower your score a few points. If you open a new account, you also lower your average age of open credit accounts, which is a another metric used to calculate your credit score. Older accounts help your score, and newer accounts lower your score initially. As those new accounts age, they will slowly help your credit score, but in the short-term, new credit account and new inquiries only lower your credit score. “Awaiting moderation” is code for “if you do or say anything to reveal how the system works, we will block it”. It’s bad for the credit repair industry. As long as people aren’t spamming dangerous links, their comments will be approved. Just like this one. I explained exactly why the above comment is correct, tried to post it and got a message; “Looks like you’ve posted this before” Which is typical of the whole crooked system. Looks like you’ll have to analyze the above statement on your own. Please explain this . oh and the bureaus did confirm that this is wgat they do when you pay down to zero balances. I called. So how can i get into the 800 club across the board ?! It seems impossible .